It really made my day when I was informed that I was snapped by Tommy Ton himself, one of the best street photographers in the world, and featured on Style.com (here)! I had no idea he took the photo so it was pretty exciting. 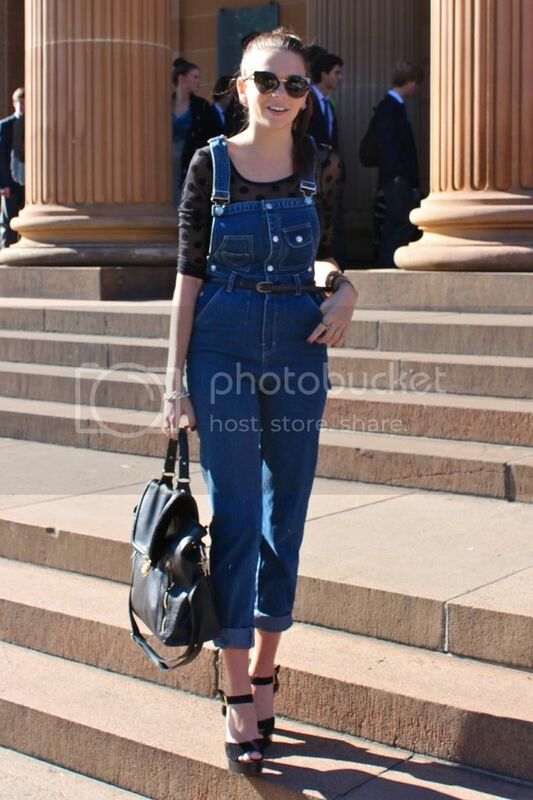 My Shakuhachi overalls made their debut on day 3 of MBFWA! These photos were taken in the morning after the Lisa Ho collection show which was held at the Art Gallery of NSW. Hiding underneath is my new favourite top which fits like a glove! See below my photo from Style.com by Tommy Ton! wow congrats! You look so cute and comfy! Congrats on the photo, what an amazing honour, love how you're able to rock those overalls, you convince me I could do the same LOL! I love your glasses! You look amazing! Divine photos! Gorgeous style, elegance and femininity - you have it all and more in this cute blog! I'd like to invite you to meet mine as well and hope you'll follow it if it pleases you. I'm definitely following yours! i'd be snapping shots of you too, girl! awesome though. i love the overalls. and your blog! 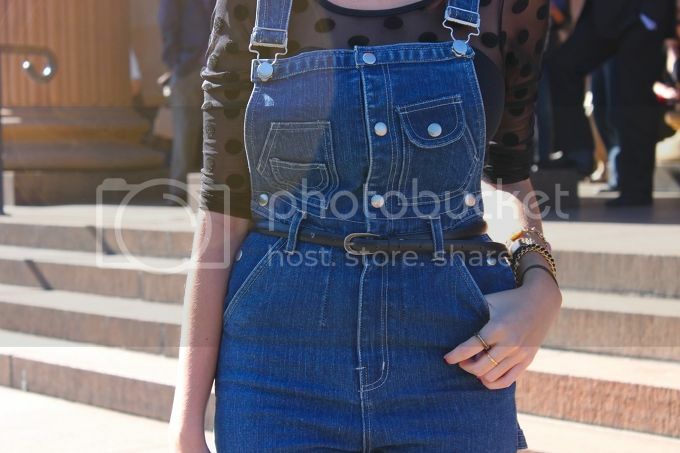 I saw those overalls on style.com and had to track you down to say you look fab!